Over the past 15 years countless individuals have faced financial punishments due to online copyright infringement offenses. But what happens when a case is won by copyright holders but the alleged pirate simply cannot pay? Answers to that question vary, but over in the Czech Republic the people at the Business Software Alliance (BSA) have come up with the most unusual solution so far to settle their case with a long-time pirate. The case involves an individual known as Jakub F who was accused by the BSA of pirating software including Microsoft’s Windows. Over many years he uploaded links to various forums which allowed others to download content from file-hosting sites. The BSA took exception to that and tracked him down. Eventually the police ended up at Jakub’s house, confiscating his computer, DVDs and an external hard drive. The case went to trial and in September Jakub was found guilty, with a district court handing him a three-year suspended sentence and ordering the confiscation of his equipment. But for Jakub the matter was not over yet. Various companies involved in the lawsuit including Microsoft, HBO, Sony Music and Twentieth Century Fox estimated that Jakub had caused them around $373,000 in damages, with Microsoft alone calling for $223,000. However, it appears that the court wasn’t prepared to accept the companies’ somewhat hypothetical calculations. Instead of paying out a small fortune to his tormentors at the BSA, Jakub F agreed to star in an anti-piracy PSA about his life as a pirate. 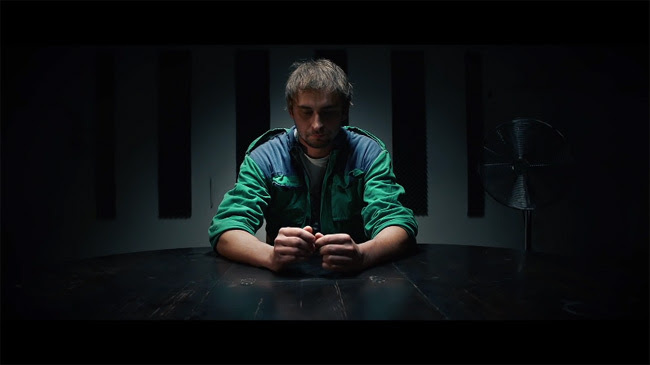 The video, which is embedded below and titled “The Story of My Piracy”, is being promoted on mojepiratstvi.cz, a site ostensibly setup by Jakub himself, with the aim of deterring others from following in his footsteps. “I had to start this site because for eight years I spread pirated software and then they caught me. I thought that I wasn’t doing anything wrong. I thought that it didn’t hurt the big companies. I didn’t even do it for the money, I did it for fun,” Jakub begins. The video is a professional affair starring Jakub himself. Set to a dramatic soundtrack, Jakub talks about the fun he had on warez forums, sharing content for the pleasure of others. However, it all came crashing down when he was told that copyright holders wanted hundreds of thousands of dollars in damages, damages he could never pay. But while Jakub appears to have kept up his side of the bargain so far, the BSA say that the 30-year-old’s fate lies with how popular the video becomes. Unless the video gets 200,000 views on YouTube, there’s a suggestion that a huge fine will become payable. “If I promote my story and my video gets at least 200 thousand views, I will only serve the general part of my sentence,” Jakub explains.